You can taste Daishichi, DAISHICHI SAKE BREWERY CO., LTD. from Fukushima prefecture, and Tentaka, Tentaka Shuzo Co., Ltd. from Tochigi prefecture. Established in 1752, Daishichi is located in Nihonmatsu, Fukushima. Fukushima sake will never let you down. Daishichi makes rich, mellow sakes whose outstanding reputation comes from an insistence on a strictly orthodox brewing tradition: the kimoto method. All Daishichi products are superb examples of kimoto sake. No lactic acid or yeast added, but forms naturally in the brew. All Natural, Hand Crafted. Daishichi seeks depth of flavour: sake that grows and matures over time, flowering into exceptional quality. They continue to cherish hand-crafted brewing techniques that combine the best of nature’s bounty with their own expertise and experience. The annual night time lantern festival of Nihonmatsu is from the 4th to 6th of October and is one of the most spectacular events to see in Japan. The festival has a long history of over 300 years and is one of the 3 largest lantern festivals in Japan. Pick from countless delicious festival food stalls and kanpai with sake in the high-energy festival. Tentaka is located in a nature-rich city, Otawara, Tochigi Prefecture. Through the year, the area is blessed with sunny weather, and the warm summer and the ideal coldness in the winter are suitable for sake brewing. As the city is on the delta between the Naka River and the Hoki River, rice has been actively grown since a long time ago. The abundant subsoil water from Mount Nasu in the most northern part of the prefecture enables us to secure clean water which is necessary for sake production. 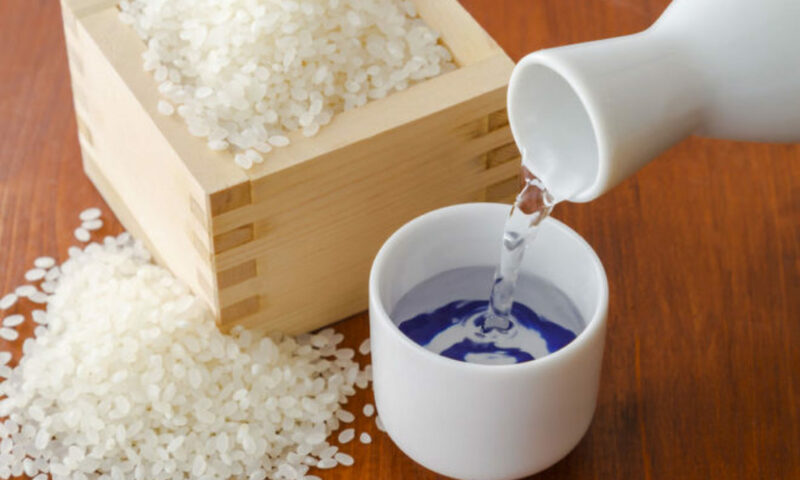 Rice, water, and climate – all conditions are met and that is why the city is perfect for sake brewing. Because of that, there are 6 sake breweries in Otawara, the largest number in Tochigi. In Otawara, there is Unganji Temple. It is a beautiful place, with peaceful and stunning gardens all year round. In the Edo period, haiku poet Basho also visited here during his long journey to north. He is one of the most famous travelogues ever, “Oku no Hosomichi”, or “The Narrow Road to the Deep North” inspires Japanese art and visitors to Tohoku. Basho composed following poem in Unganji. In the same city, Daoji is a Soto Zen temple that is more than 600 years old; it was established in 1404. The thatched buildings are amazing and the statues and gardens are really interesting. At Daioji Temple, you can practice Zen meditation under the guidance of a Zen priest. You can taste Kozaemon, NAKASHIMA SAKE BREWING CO., LTD. from Gifu prefecture, and Kikusakari, Kiuchi Brewery from Ibaraki prefecture. NAKASHIMA SAKE BREWING is located in Mizunami city, Gifu. Gifu is a perfect place for sake production with its pristine mountains & water flowing from the Japanese Alps. Southern Gifu is large flat plain that is ideal for growing rice. It makes stunning Gifu Sake! There are over 50 breweries in Gifu itself. With tranquil mountainous landscapes and streets lined with traditional Japanese-style houses, Gifu makes you feel as if you’ve stepped into the Old Japan. Throughout the prefecture, there are countless natural fountains pouring out mineral-rich, bubbling-hot water, making it a veritable hot spring paradise. And traditional crafts have historically been a central and thriving part of Gifu’s culture. Kozaemon is made by small brewery in mountainous Mizunami city, Gifu. NAKASHIMA SAKE BREWING is a local sake brewery with over 300 years of history since 1702. The “Kozaemon” brand was launched in 2001, which has become popular at home and abroad. The use of the subsoil water flowing from Mt. Byobu as its source brings out the full flavor of the rice. You can taste the nature of the Mino region, southern Gifu and the brewers’ reflections when savoring the “Kozaemon” products. Based on the idea of making a good match with any dish, NAKASHIMA SAKE BREWING is dedicated to producing “umakuchi” sweet-smelling flavors with body and depth rather than crispy and dry “tanrei” flavors. The product line-up varies from pure rice sake to liquors. Mizunami is a town set in a rich natural environment, with 70% of its land area covered by forests. Mizunami has also been famous since ancient times as one of the localities where Mino-yaki ceramics are made. Although production has diminished in recent years, the tradition of Mizunami as a source of Mino-yaki remains strong. Because Mizunami is a ceramics town, it’s a place where visitors can find exactly the local wares they’re looking for, from sake cups and decanters to serving dishes for snacks. Mizunami Buono Pork has twice as much marbling as other domestically produced pork, with a juicy flavor and the strong, sweetness of fat, giving you the joyful taste of meat. Local restaurants use their own ingenuity to serve Mizunami BuonoPork dishes. You can enjoy a taste of delicious sake and Mizunami Buono Pork served in a Mino-yaki.